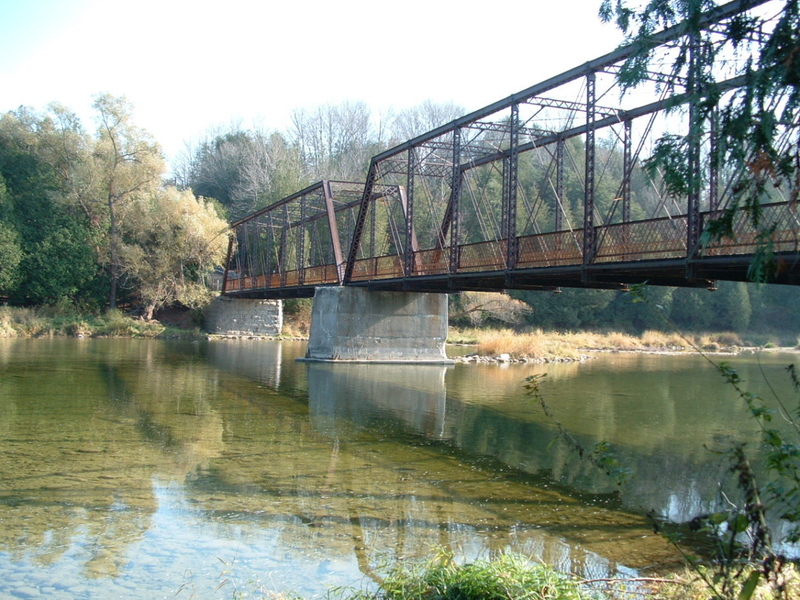 You will find similar bridges installed all over Canada. This entry was posted in Photography and tagged Canada, Finepix 3800, Huron County, Ontario, photo. Bookmark the permalink. Well, it does have some history. The bridge was installed over one of the first roads into Goderich, an old, but very pretty little town on the shores of Lake Huron. The road today is mostly a scenic route for photographers, cyclists and hikers, The bridge design itself is based on the British Bailey, used extensively by the military for quick river crossings. The river itself is one of personal interest to me since it starts as a spring fed brook where I presently live and empties into Lake Huron close to where the picture was taken. I’m sure there’s much more to it than that, though.